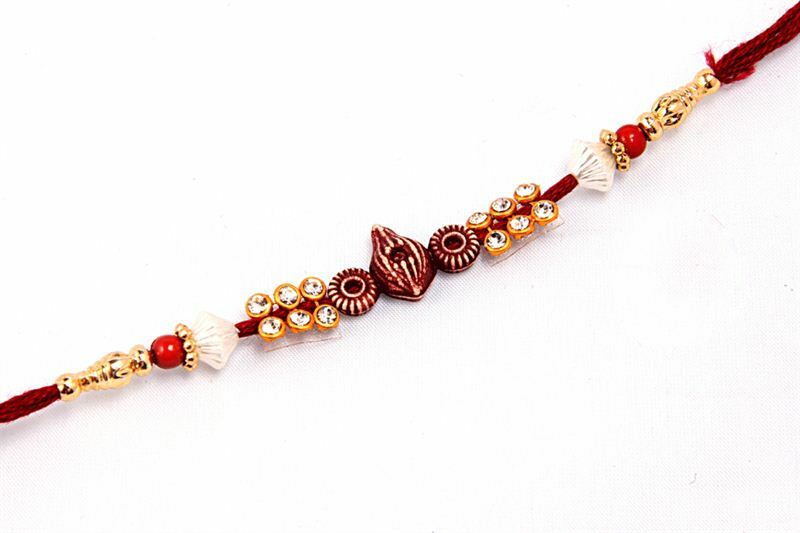 Ornate Rakhi for Rakshya Bandhan. Rich in color. Made of strong threads.